It's beginning to heat up outside which can only mean one thing... summer! It's time to send out those summer party invitations and gather friends and family for some outdoor fun. 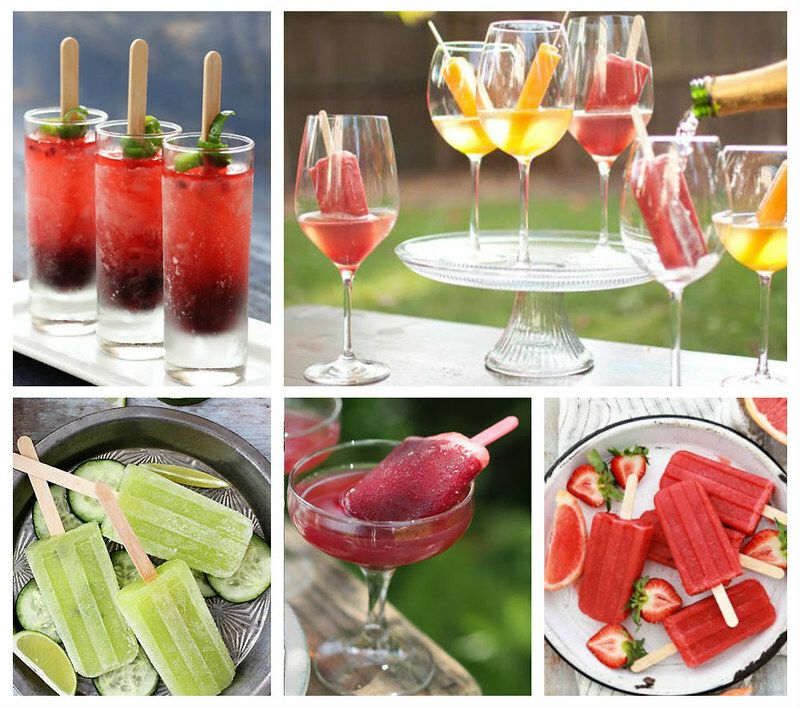 In order to keep your cool, create these tasty popsicle cocktails and serve them at your next cocktail hour! It's as easy as freezing your favorite mixed drinks in popsicle molds or adding ice pops to popular cocktail recipes. For a more boozy frozen drink, more alcohol can be added to these recipes, but don't expect them to fully freeze when the recipes are altered. If more alcohol is added to many of these recipes, it will result in more of a cocktail slush (which is still fun!) This cocktail slushy can be served in a bucket with a fun ice cream scooper or ice shovel and garnished with a spoon or straw for another fun frozen treat! Another alternative is to use sugar free pops and ingredients to make skinny poptails! Many companies make sugar free popsicles which will help with calorie and sugar counts on these recipes. For more cocktail recipes, visit Celebrations.com. We hope you enjoy these summer drink ideas and create some of your own using your favorite cocktail recipe. What summer cocktail recipe are you dying to make into a poptail?